Professional Site Surveys - Healy Constructions Services, Inc. It is critical to understand site conditions before drawings are created for any construction project. For that reason, Healy Construction Services provides site surveys that are fundamental to project success. Our in-house site survey team will communicate directly with your architect. This allows us to provide the in-depth information necessary to commence planning. As a result, we help to ensure that your designs and construction schedule will be accurate. So, trust our 30 years of experience in retail and commercial construction to make your project a success. We are a woman-owned, family-run business that has safely and efficiently completed projects for clients throughout America. Call today at 708-396-0440 or contact us online to put our expertise and knowledge to work for you. Site surveyors inspect the area of a proposed construction project. They gather information for a design or an estimate to complete the initial tasks required. It can also determine a precise location, access and best layout for the site. In addition, site surveys identify any potential obstacles to the completion of the project. 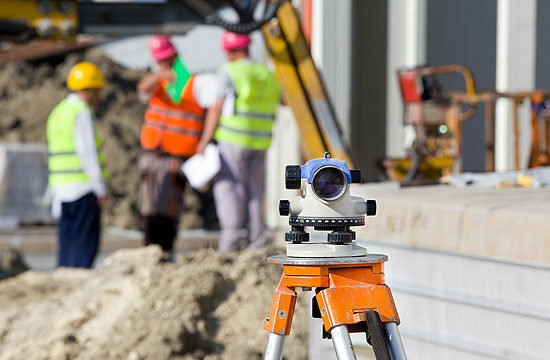 Let the Healy Construction Services site survey team provide your construction project the detailed site condition information you need for success. We also invite you to use any of our other comprehensive solutions, including construction management in chicago il and surrounding areas.. Therefore, give us a call today at 708-396-0440 or contact us online to tell us how we can help with your project. If you are interested in becoming a subcontractor, please review our vendor qualifications and submit a request to work with Healy.